Grab a bite to eat and a cold drink at tavern before or after your next round! Golf in Yuma at Foothills Golf Course in the Foothills of the Gila Mountains. Foothills, and sister courses Foothills Par 3 and Las Barrancas, offer three great places to play golf in Yuma. All 3 Foothills golf courses enjoy wonderful desert views and an experience to fit every golfer's appetite for fun or challenge. 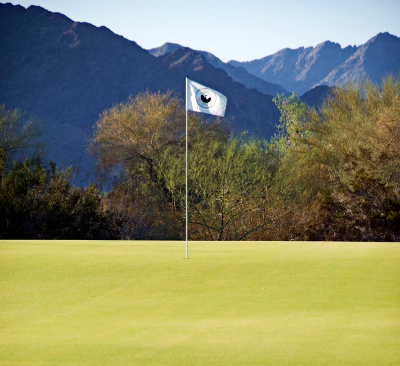 This Season, be sure to enjoy Foothills Par 3 with exceptional greens rarely found at Par 3 golf courses. Yuma's favorite Winter Visitor golf course, Foothills Golf Course, is an executive length, desert style 9-holes, playable for seniors and favored especially by women golfers. Las Barrancas is 18 holes that will test your game, select from 5 sets of tee boxes and enjoy Yuma's newest, most interesting golf facility.